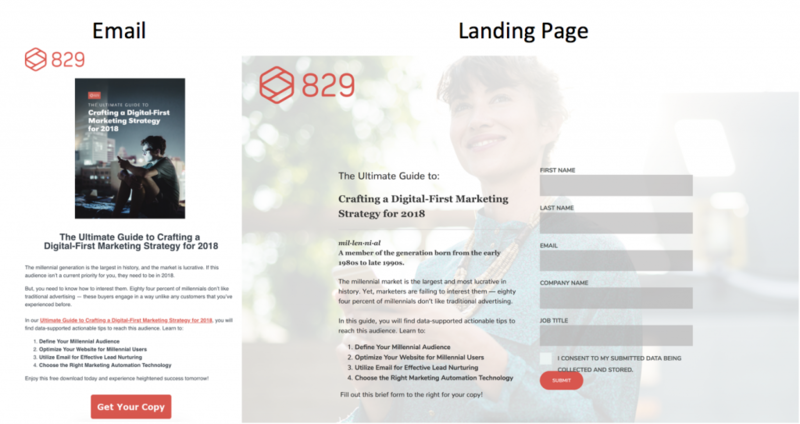 A landing page is a standalone web page, inaccessible from your website’s navigation, created solely for the traffic that you choose to send to it. Landing pages are absolutely critical for social advertising campaigns, email marketing campaigns, and paid search campaigns like Google AdWords. Now, you can discover why they’re so important and get tips to make your landing pages even more effective. 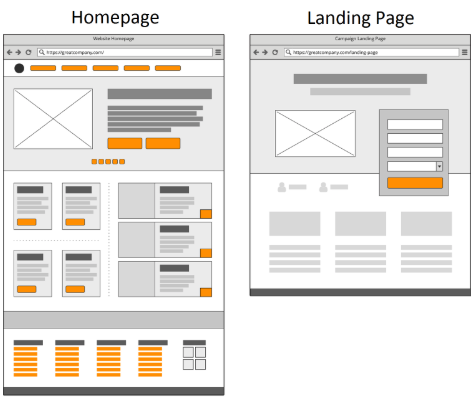 What is a landing page? Why do I need them? Imagine that you need to drive across a snowy mountain. To make the journey, you hop into your brand new, top-of-the-line crossover. It’s got the latest exterior, leather seats, an amazing sound system, extra room in the back for the kids, and even space in the trunk. It’s the perfect vehicle to get you where you need to go in nearly every situation. But wouldn’t you just rather have a snowmobile? On your website, you need to account for every person who might land there — partners, customers, leads, or even previously unknown prospects. You’ll be asking people to click around, discover your brand, and find their next steps. On a landing page, you know exactly who you’re targeting and exactly what their goal is. You can create a single message specific to them that will immediately resonate and fulfill their needs. Even if your website is beautiful, informative, and comprehensive (the fancy crossover), a landing page will suffice and (in most cases) perform better when being served to its specific audience (the functional snowmobile). The reason you can be so confident with a landing page is because you control how people access it. For example, a footwear company might go onto Google AdWords and bid on the phrase “new 2018 athletic sneaker.” In their paid search ad, they’ll advertise their “New line of athletic sneakers — lighter, faster, better!” When someone clicks, they’ll be taken to a page dedicated to the new shoe line, with featured promotional shots and high-level specs. There might even be a call to action to pre-order the shoe. The footwear brand won’t mention any other kind of shoes on the page, and you won’t be able to find this page anywhere on their website. But because the landing page fulfilled the promise of the ad and the consumer found exactly what they were looking for, there’s a good chance they’ll convert on the call to action. You can target ads online based on any number of factors — interests, demographics, past interactions with your brand, and more. Rather than simply directing someone to your homepage if they click through, it’s much more impactful to send them to a landing page connected to why you wanted them to click through in the first place. The email was tailored to a specific audience with a specific offer at a specific time. The landing page was straightforward with a singular call to action: download the guide. Because of that clear resonance, the landing page saw a 62% conversion rate from email click-throughs. Use concise copy to reinforce the resonance. This is your chance to write directly for this audience. Make them feel like you understand exactly what they’re looking for, and don’t waste time with too much content. Create that implicit connection and send them along to your call to action. Have a clear call to action. Your landing page should have a clear, singular goal. Whether you want someone to purchase a product, download a white paper, or fill out a contact form, that call to action should get plenty of real estate on the page. If you give people too many options, you could paralyze them and cause them to bounce altogether. Your audience is already looking for it — they clicked through. Don’t waste time not giving it to them. Get rid of your navigation bar. On your main website, navigation is crucial. You want users to be able to explore and find what they’re looking for. On a landing page dedicated to converting visitors to leads, you’re already providing exactly what they’re looking for. Don’t give them a chance to bounce before you give it to them. Set up a Thank You Page after they convert. Once someone converts on your landing page (i.e. fills out the lead capture form), you need to send them to a unique ‘Thank You Page’. Not only will this literally give you the chance to thank them and nurture your connection, the new page can upsell a next opportunity and confirm the conversion in your site analytics tool (example: Google Analytics). Every time you send paid search, email, or social traffic to your homepage, there’s a chance that a landing page would be a better fit. In the right context, landing pages can offer better conversion rates and better data on what your audiences are interested in. Let’s get your campaigns to the next level. Sign up for a free online advertising analysis with my team. We’ll outline your current performance and lay out a clear plan for improvement.